At slightest pretext, Pakistan threatens to use nuclear weapons against anyone it feels insecure, and more so against India. The introduction of tactical nuclear weapons (TNWs) into its inventory has been portrayed to have sufficiently lowered its nuclear threshold. Rawalpindi appears to believe that there is no space for conventional war, and it can use nuclear weapons on the battlefield if New Delhi crosses its ‘redlines’ without triggering a ‘massive’ nuclear retaliation. On the contrary, New Delhi appears to believe that a limited conventional war can be fought and won below Pakistan’s nuclear threshold. Almost two decades have been passed since the 1998 nuclear tests by India and Pakistan during which existence of “nuclear weapons may have limited the risks of war, but they do not inhibit either side from engaging in low-level conflicts.” The logic of deterrence no doubt holds in South Asia, but the same does not obviate limited conventional conflicts. The Kargil war in 1999, Operation Parakram in 2001-02, and the surgical strike by India in 2016 represent rather a combination of Pakistani boldness and Indian calibrated action that have surprised proponents of the ‘stability-instability paradox’. It “remains unclear and will always remain so” as to “how deep into Pakistan would be deep enough for India to obtain its objectives; and how deep would be too much for Pakistan.” Therefore, the assumption that Pakistani nuclear threshold is ‘low’ is arbitrary, unrealistic, and unfashionable now. This study vilifies the assumption that Pakistani nuclear threshold is abysmally low. Though the exact contours of Pakistan’s nuclear threshold is unclear, Khalid Kidwai, the former head of Strategic Planning Division (SPD), in 2001 delineated four generic “redlines”: spatial threshold (loss of large parts of territory), military threshold (destruction of large parts of land or air forces), economic threshold (economic strangulation), and political threshold (political destabilization or large scale internal subversion). Understandably these four redlines reinforce deterrence against an enemy who threatens Pakistan’s ‘survival’. In 2002 then-President Pervez Musharraf stated that “nuclear weapons are aimed solely at India,” and would only be used if “the very existence of Pakistan as a state” was at stake. "Indeed, no Indian leader has considered threatening the survival of Pakistan." However, pronouncements by Pakistani political and military leaders on various occasions to use nuclear weapons bring one the impression that Pakistan showcases a maximalist threshold posture even though it is aware of the illogic of climbing on the escalation ladder, thus losing its credibility. A day before the terrorist attack in Uri, Pakistan Defence Minister reportedly said that “We are always pressurized time and again … that we have more tactical weapons than we need. If anyone steps on our soil and if someone’s designs are a threat to our security, we will not hesitate to use those weapons for our defense.” Expanding the threat to use nuclear weapons “beyond simply ensuring national survival is problematic.” The nuclear threshold has to be higher than that for it to have any meaning. The cross-LoC strike by India in September 2016 has indeed exposed the "basic contradiction between the logic of Pakistan’s nuclear threats and the illogic of actually carrying out such threats", aptly says, Prof. Rajagopalan. According to Pakistani Foreign Secretary Aizaz Chaudhary (October 20, 2015), Pakistan is formalizing its plans to use this low-yield or so-called “tactical” nuclear weapons in a potential future conflict with India. But Pakistan has been quite on details on its redlines and parameters for use of TNWs. General Asad Durrani, former DG ISI Pakistan, said in 2003 that Pakistan does not “identify those core interests that, if threatened, could trigger a nuclear retort. 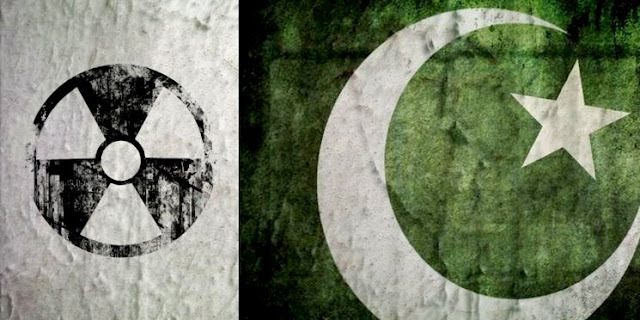 These are elements of operational planning and stating them could betray a country’s conventional limits.” Given the opaqueness, Pakistan’s nuclear threshold is subject to India’s interpretation; undeterred by the TNWs India will decide on its own terms the level of Pakistani threshold – would be proportionate to India’s concerns and grievances against Pakistani misadventure. For example, a deep penetration by India into the barren desert area of Pakistan, in response to Pakistani-backed terrorist infiltration, is unlikely to breach its nuclear threshold. Air strikes against the terrorist infrastructure in POK not likely to evoke nuclear response either. Pakistan will not resort to nuclear weapons until the Indian defense forces advance well into PoK or threaten Pakistan side of Punjab. Therefore, fixing of nuclear threshold in South Asia would largely depend on the evolving circumstances, therefore will remain dynamic. Also, one need to understand what factors lower the nuclear threshold in South Asia. Is it the miniaturization of nuclear warheads and short-range nuclear-capable vectors, or constant harping by Pakistan on the nuclear conflict scare? As India does not differentiate between ‘strategic’ and ‘tactical’ weapons, lowering of threshold does not bring any qualitative change. More importantly, Pakistan though has reserved the first-use of nuclear weapons option, it proclaims to use them as “the last resort…if Pakistan is threatened with extinction.” If this is to be believed, Pakistan will first mobilize and exhaust all its conventional forces at its disposal. Though not comparable to India’s, Pakistan has piled up a sizable conventional force and the limits of its conventional force must not be underestimated. Therefore, the perception of ‘low nuclear threshold’ must be viewed through the prism of “last resort” and limits of its conventional force. Lastly, the role of international community in Indo-Pak conflict has been exaggerated. In fact, Pakistan assumes that in the case of a war, the international community will immediately intervene and stop India from continuing its conventional campaign or undertaking nuclear retaliation. With the ascendance of India’s global clout along with its restraint behavior, New Delhi’s response to Pakistani misadventures would not ring strong alarm bells, unlike before. Pakistan has threatened to use nuclear weapons against Israel. Pakistani Defence Minister Khawaja Muhammad Asif Tweeted a veiled nuclear threat at Israel, apparently after taking affront at a fake news article where Israel purportedly warned Islamabad against meddling in Syria. “Pakistan makes nuclear threat to Israel, in response to fake news”, http://www.timesofisrael.com/pakistani-defense-minister-in-nuclear-threat-to-israel/, December 24, 2016. P. R. Chari, P.I. Cheema, and S. P. Cohen, Perception, Politics and Security in South Asia: The Compound Crisis of 1990, London: Routledge Curzon, 2003, p. 135. V.R. Raghavan, “Limited War and Nuclear Escalation in South Asia”, https://pdfs.semanticscholar.org/44c3/6269658539992df4b5d67e6678a053efcc4b.pdf, p. 16. “Pakistan Nuclear”, http://www.nti.org/learn/countries/pakistan/nuclear/, April, 2016. “Pakistan defence minister threatens India with nuclear attack”, http://economictimes.indiatimes.com/news/pakistan-defence-minister-threatens-india-with-nuclear-attack/articleshow/54575107.cms, September 29, 2016. Rajesh Rajagopalan, “Why this Surgical Strike Across LoC Changes Indo-Pak Nuclear Red Lines”, http://www.news18.com/news/india/why-this-surgical-strike-across-loc-changes-indo-pak-nuclear-red-lines-1296919.html, September 29, 2016. Jaideep A Prabhu, “Surgical strikes against Pakistan along LoC show Indian govt has finally acted boldly”, http://www.firstpost.com/india/surgical-strikes-against-pakistan-along-loc-are-a-breath-of-fresh-air-3027470.html, September 30, 2016. C. Raja Mohan, “Between war and peace”, http://www.thehindu.com/2001/12/20/stories/2001122001231000.htm, December 20, 2001. Manpreet Sethi, “Responding to Pakistan’s Tactical Nuclear Weapons: A Strategy for India”, IPCS Debate, Article No. #4263, 18 January 2014. Saira Bano, “Pakistan is Learning the Wrong Lesson: Tactical Nuclear Weapons in South Asia”, International Policy Digest, December 27, 2014. Rajesh Basrur, “South Asia: Tactical Nuclear Weapons and Strategic Risk”, RSIS Commentaries, no. 65/2011, April 27, 2011. Mark Fitzpatrick, “Cold War Lessons for South Asia Nuclear Arms Race”, www.iiss.org, September 12, 2013. David O. Smith, “The Us Experience with Tactical Nuclear Weapons: Lessons for South Asia”, http://www.stimson.org/images/uploads/research-pdfs/David_Smith_Tactical_Nuclear_Weapons.pdf, p. 43. Rajaram Nagappa, et al., “Hatf-IX/ NASR - Pakistan’s Tactical Nuclear Weapon: Implications for Indo-Pak deterrence”, National Institute of Advanced Studies, July 2013, p. 12.